C-6 Automatic Transmission to Early Bronco Dana 20 Transfer Case Adapter Housing Kit for 66-77 Classic Ford Broncos.. If you are installing a high horsepower V8 and want to use an automatic, this transmission is your best choice. The C6 conversion will be 2-1/2" longer than your stock transmission. 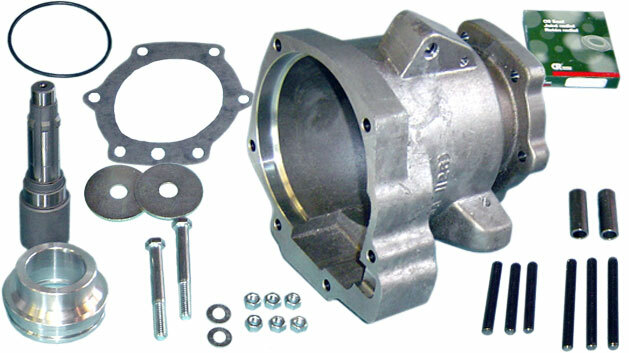 This kit includes the adapter housing, spud shaft and necessary bearing seal and gasket. Factory mount sets will need slight modification for this kit. See "Tech Advice" for more info.